This was taken at one of our Equitarian Workshops near Vera Cruz. 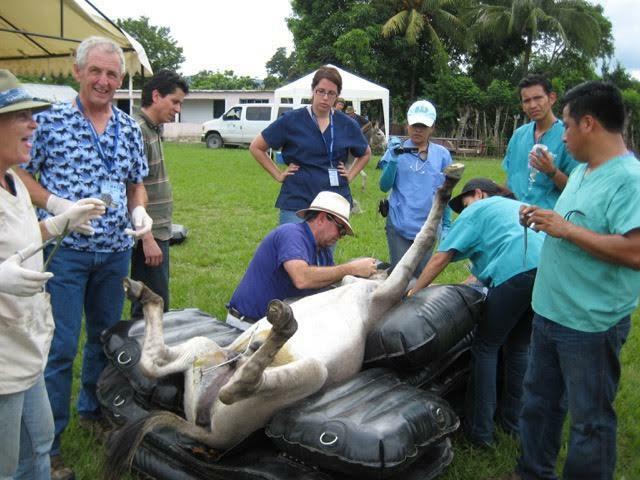 I am working with a Mexican Vet, Dr. Ramiro Calderon and his students and Dr. Paul Malonee of the US. We are doing clinical training, cryosurgery and routine surgery on several patients. That day we saw over 200 animals. This is a typical day at one of our Workshops. 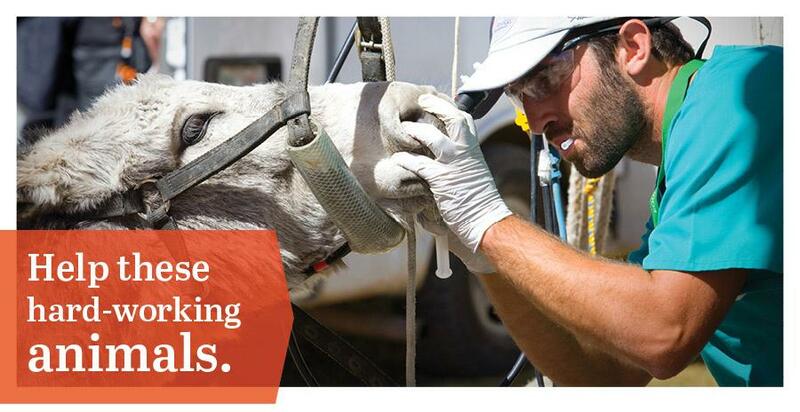 Dr. Jay Merriam has been working in Private Equine Sport Horse Practice since 1975. 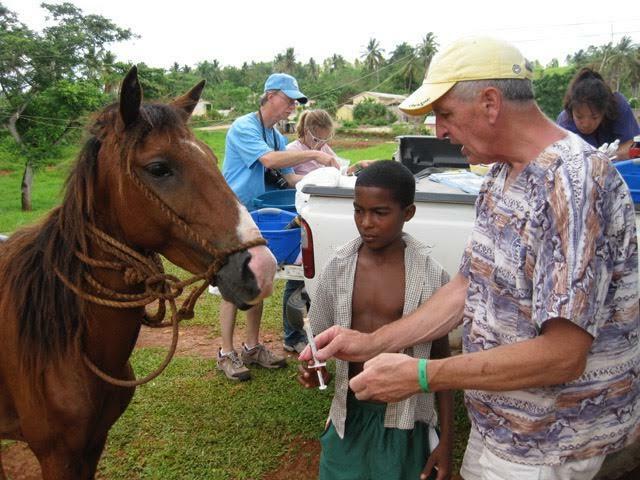 He has a Masters in Equine Surgery from Auburn University and has been involved with Working Equids since beginning Project Samana in the Dominican Republic in 1992. His work there and in other countries has led to his involvement as Chair of the AAEPs Equine Welfare Committee since it’s formation. He is the co-founder of the Equitarian Initiative in the AAEP and is currently the President of the Board of Directors. With Dr. Julie Wilson and Dr. Mariano Hernandez-Gil he began the Equitarian Workshops in Mexico. He is a frequent speaker on Working Equid care and has taught in India, Morocco, Haiti and the Dominican Republic and Indian reservations in the US. His focus is the provision of direct veterinary care, training of veterinarians and caregivers and education on the need for a healthy working equid population worldwide. Jay has been an equine vet for the last 45 years, mainly on the East Coast, but also internationally with clients competing abroad from the Olympics to World Cup and all over New England as well. His primary interests have been surgery, lameness and general Sports Medicine. Since I sold my practice and moved here 3 years ago my work has been primarily related to Equitarian Projects from Mexico to Morocco, Nicaragua to the Dominican Republic, although I still consult with clients mainly on the east coast. Jay offers is a 45 minute, power-point talk, showing a few surgeries, with discussion time to follow. He has been a frequent speaker at both the local and International level, speaking to Farriers, vets, students and technicians as well as interested horse groups. End of year giving — such a beautiful time of year! Please consider making a gift to support our projects. Thank you.